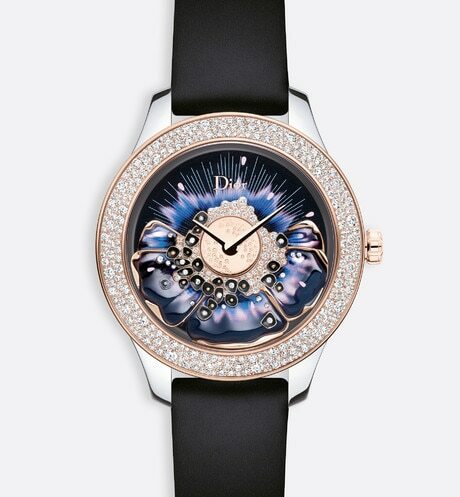 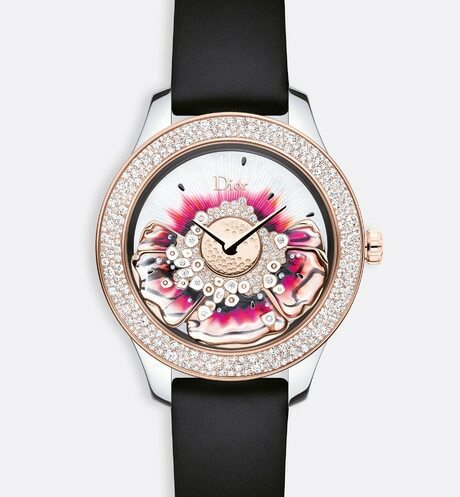 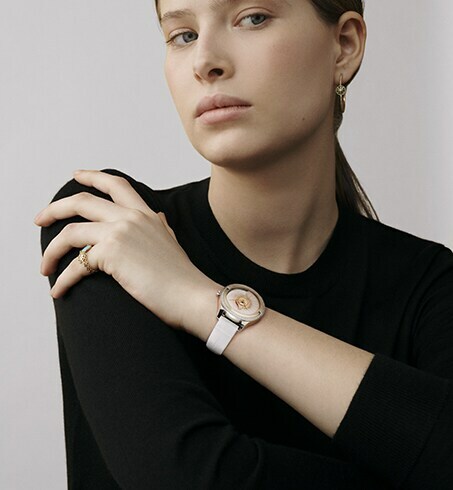 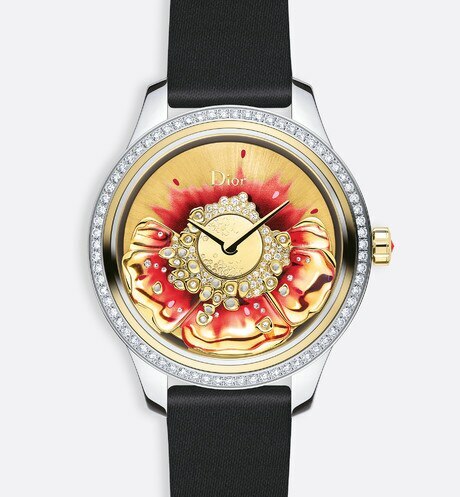 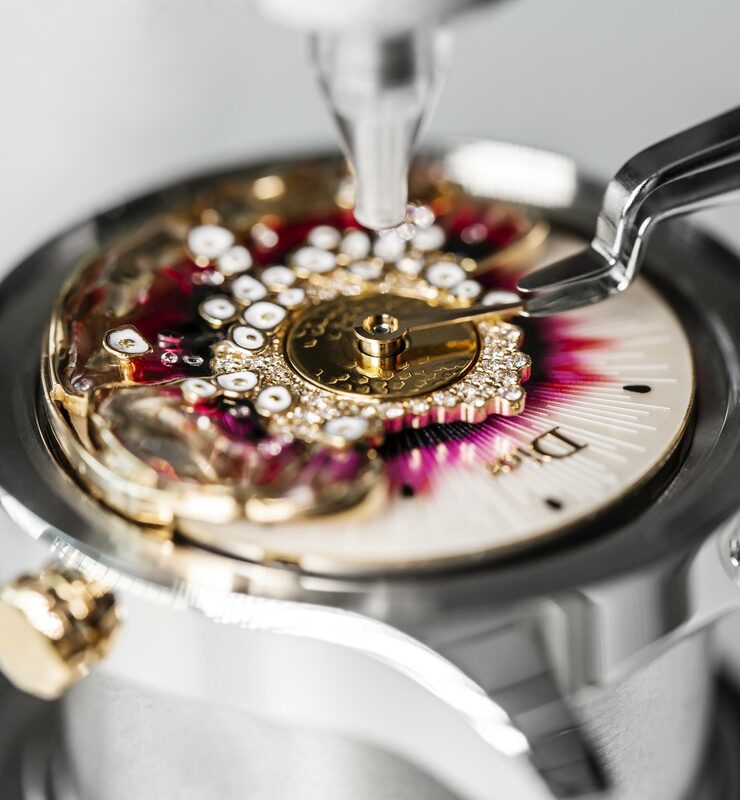 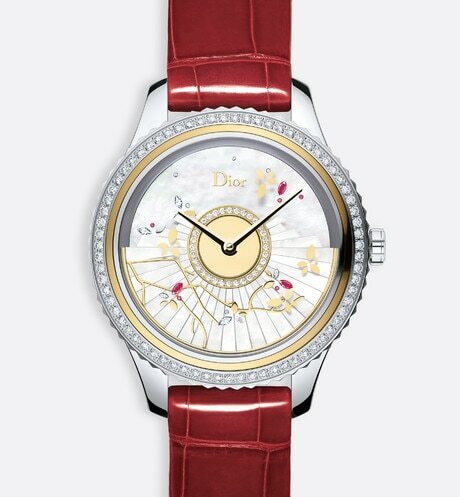 The Dior Grand Bal collection swirls like a ball gown to the rhythm of the “Dior Inversé” calibre and functional oscillating weight placed on top of the dial which drive the timepiece. 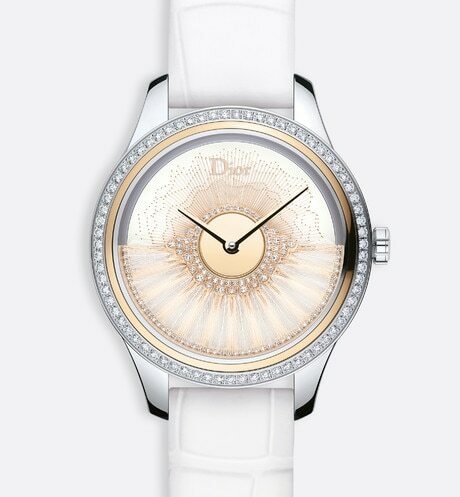 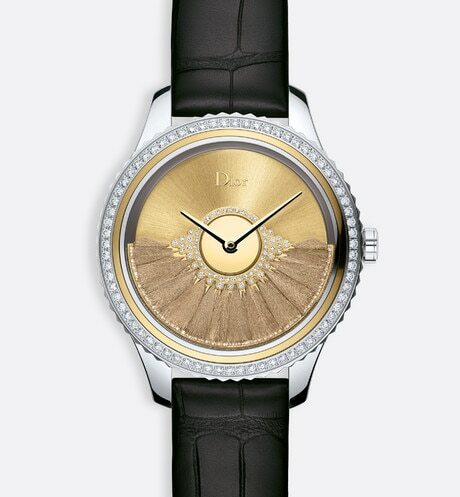 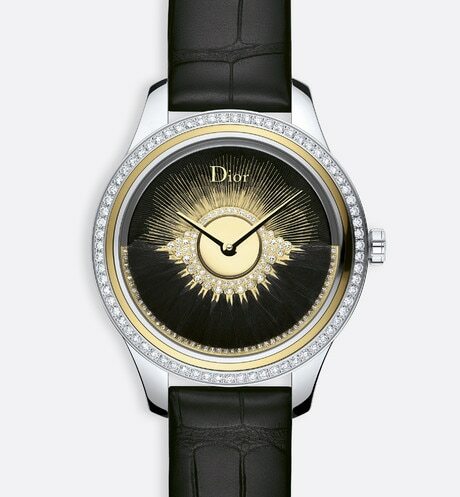 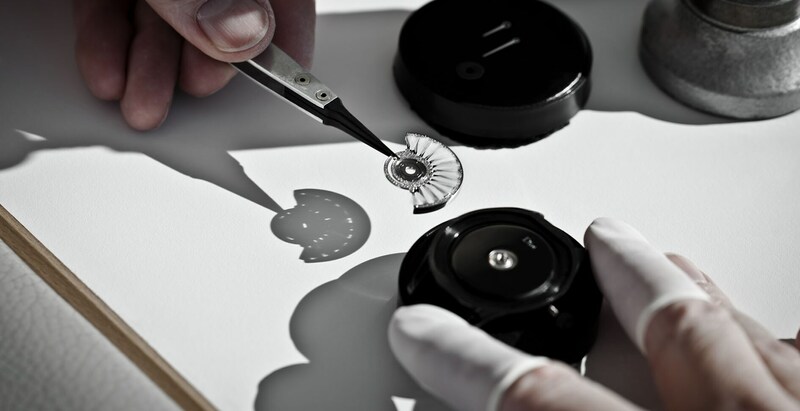 Resulting from strict aesthetic requirements, this watch complication echoes Monsieur Dior’s designs. 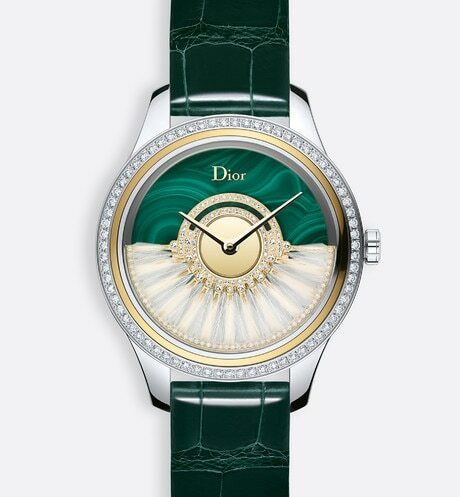 “The ball gown makes you dream and must make you a dream woman.” Like satin, faille and taffeta constructed into opulent and architectural party dresses in the Maison’s ateliers, the Dior Grand Bal is adorned with gold threads, net, silk, feathers, gems or scarab beetle elytra. 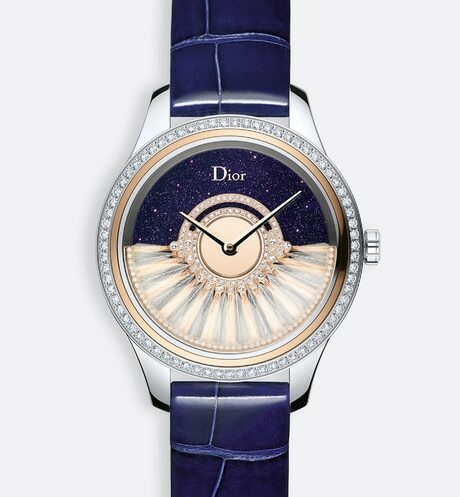 Sure of their attractions, these refined materials and their whirlwind of colours invite us to take the floor and twirl around all night long. 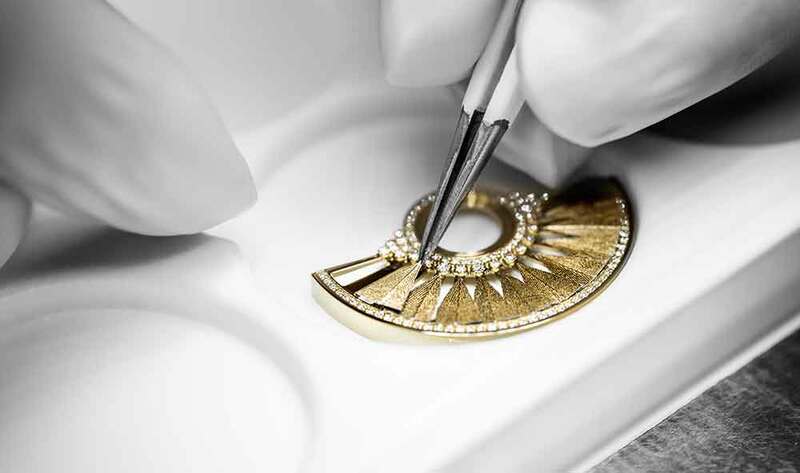 At the heart of these designs lies all the savoir-faire of the Dior workshops.